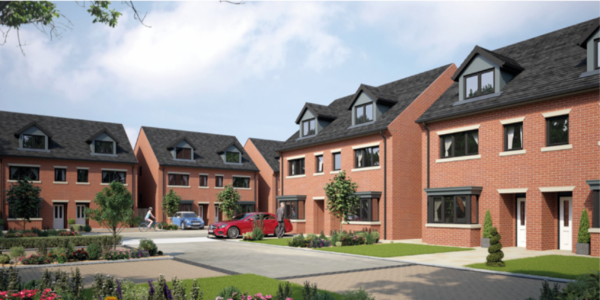 Thorngrove Land & Property Limited has sold a residential development site in Sandbach to the House Crowd, a crowdfunding company specialising in peer to peer lending, buy to let investments and property developments for an undisclosed sum. The site, which is situated off Coppenhall Way in the centre of Sandbach, was initially acquired by Thorngrove as part of series of linked acquisitions of undeveloped and unconsented land last year. Thorngrove subsequently secured planning permission for a new residential scheme on the site. Justin Molloy, Development Director for the House Crowd, comments: “We are always on the lookout for great consented schemes to develop and add to our ever-growing development pipeline, with Thorngrove’s site off Coppenhall Way fitting our business model perfectly. We were pleased that we were able to work well with Thorngrove and complete the deal quickly resulting in a positive outcome for both parties”.